If you're in Las Vegas, chances are good you'll have a drink in your hand soon, if you don't have one already. Whether you're into craft beer, wine, or ultra-fancy craft cocktails, there's a spot eager to fill your glass, but how do you decide where to go? Well, Thrillist has you covered with this list of bars that go above and beyond with their offerings, ranging from cheap brews in old haunts to elaborate concoctions in brand-new places. Happy imbibing! The oldest freestanding bar in Las Vegas used to be a place where people would grab drinks, sit on the roof, and watch nuclear test explosions go off in the desert. (Nevada was into that kind of stuff in the '50s.) 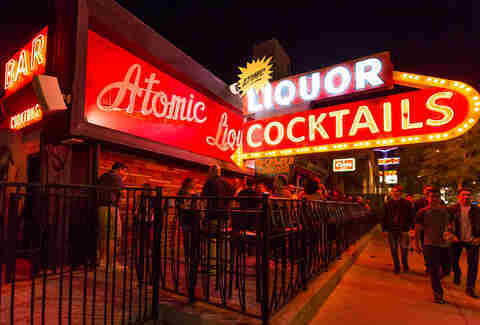 Atomic Liquors eventually closed down but later returned as a craft cocktail destination in 2012. It's been a huge hit ever since, and much of Nevada's radioactive history is documented with artifacts on the walls. A restaurant -- The Kitchen at Atomic -- recently opened next door. 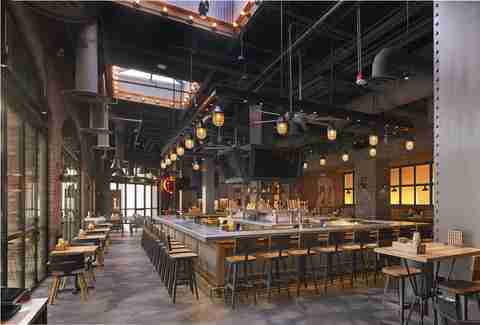 One of those places you definitely have to visit during a beer crawl of Las Vegas, Beerhaus is a fun and festive social spot in the shadow of the T-Mobile Arena on the Strip. The food is kept to a tight menu -- featuring bar grub like brats, pretzels, and fried pickles -- served from a pick-up counter. However, the beer list is vast and varied, including bottles, cans, and draft selections -- among them, local breweries like Joseph James and Crafthaus. 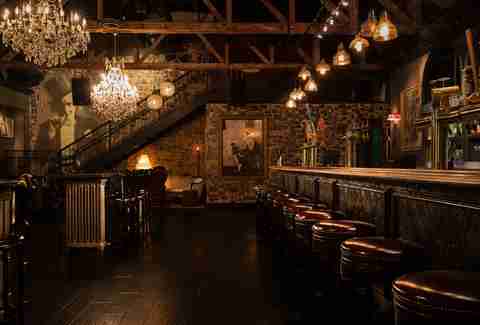 Few bars carry more sophistication and elegance than this one. 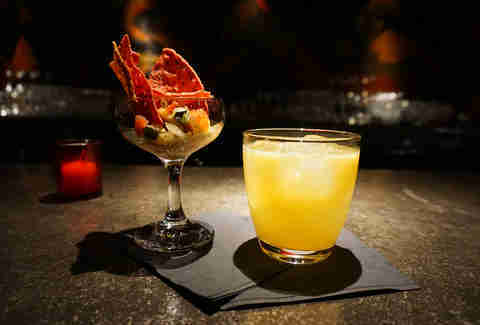 With a menu designed by famed European mixologist Salvatore Calabrese, Bound has more than a couple drinks that -- while not cheap -- are worthy of your time and attention. 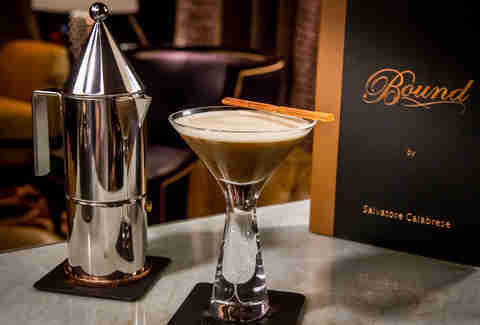 Among the favorites are a pair of espresso cocktails served in an Italian moka pot and the Maestro which blends a number of citrus elements with vodka, maple syrup, and balsamic vinegar. Immersed in style and character with wood furnishings and crystal chandeliers, Commonwealth sets itself apart from the crowded Downtown bar scene with a deep beer selection, expertly made cocktails, and the Laundry Room -- a secretive bar-within-a-bar that requires a hookup to get in. An upstairs patio has its own bar and 360-degree views perfect for people watching and soaking in the surrounding neon lights. 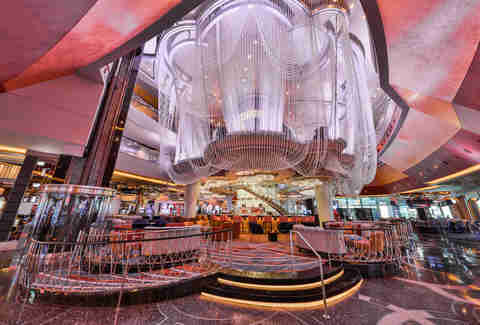 The most impressive lobby bar on the Strip passes through three floors of the Cosmopolitan with a spectacle of dangling beads hanging around it. The lounge could get by on looks alone, but has an impressive array of cocktails, including an Old Fashioned made with 12-year rum aged in bourbon barrels and the infamous verbena -- similar to a ginger-infused margarita but with an edible flower that alters the taste. The bottom level is a social meeting spot while the third floor is a little quieter and better for a date. The middle level was recently renovated into a whimsical common area inspired by Alice in Wonderland. There's no bar in Las Vegas that's done a better job of building its whiskey and spirits collection over the years -- with more than 700 options from nine countries and an impressive focus on verticals. This is the stuff that's hard to find anywhere else. If whiskey's not your thing, there are 2,400 choices of wine and Emeril Lagasse's lineup of prime cajun-seasoned steaks. 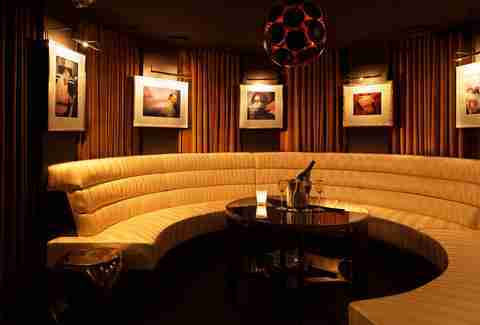 This upscale lounge is perfect for those who love the glamour of Vegas and a touch of elegance to go along with the late night DJ’s beats. Crafted in oak, brass, leather, and marble, the Dorsey has long comfortable couches for socializing and a "library" room decked out with a fireplace. The cocktails, designed by famed New York mixologist Sam Ross, are pricey but worth every penny. 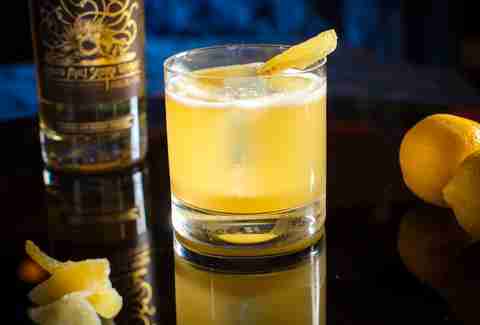 Try the drink that put him on the map: the Penicillin, a smoky libation with Scotch and a bite of ginger. Use this link to make your reservation. Back when Las Vegas was all about sugary cocktails and bottle service (not all that long ago), the Downtown Cocktail Room came along with something different -- inventive cocktails inspired by metropolitan areas around the country. The team works in a "lab" of mixology to create a menu of clever drinks that rotate in-and-out about four or five times a year. Nothing is off limits, from absinthe and mezcals to anything and everything as garnish (including on at least one occasion, house-made chips and salsa). Everything is half-off Monday-Friday from 4 to 7pm. 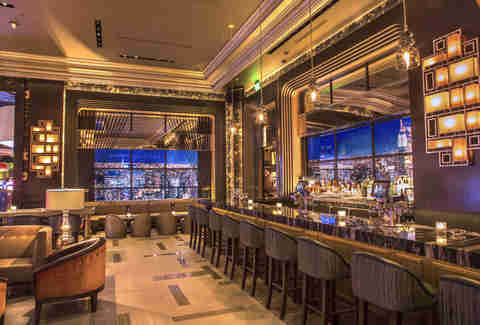 This upscale lounge keeps things sparkling with Champagne and Champagne-based cocktails in a quiet spot tucked out of the way off the casino floor at Caesars Palace. Lavish light fixtures, art-covered walls, circular booth seating, and a second level that overlooks the main floor encourages lots of social interaction within a relatively intimate space. 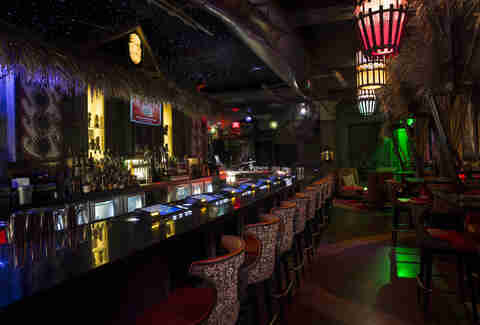 The music playing as you walk through the front door suggests you're about to take a ride on the Pirates of the Caribbean...or enter the most indulgent tiki bar in Las Vegas. Golden Tiki counts a a dancing skeleton, conch shell chair, and overstuffed treasure chest among its kitschy decorations. 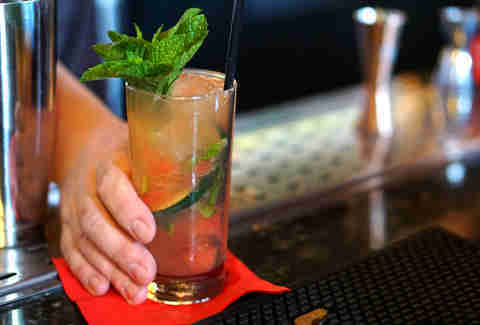 The drinks are mostly rum-based and heavy on tropical fruit juices. Some even come topped with Dole Whip -- a vintage frozen pineapple treat found in a machine behind the counter. 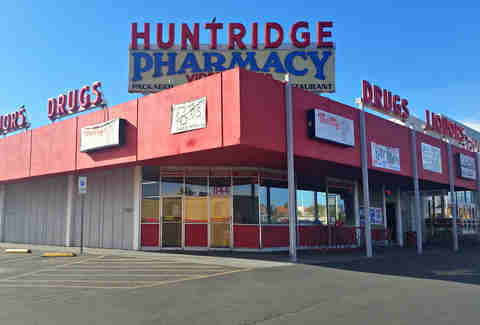 No elaborate foofoo drinks here: The Huntridge Tavern (found next door to the Huntridge Pharmacy) is the perfect place for a shot and a beer -- especially if it's a can of Hamm's, always on sale for $1.50. Located in that special part of Downtown that's nowhere near touristy Fremont Street, this local legend among dive bars is a piece of Las Vegas history -- open almost continuously for more than five decades. 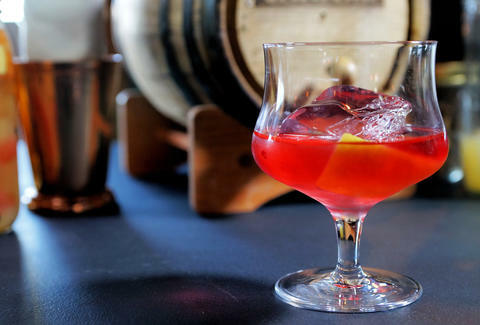 Libertine Social has a healthy buzz thanks to food by Shawn McClain and a thorough bar program by Tony Abou-Ganim -- a longtime master mixologist who helped open the Bellagio back in the day. 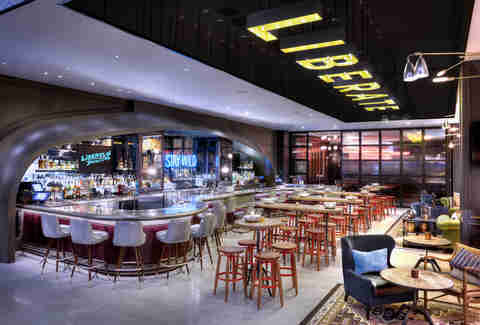 At Libertine Social, he's free to experiment and bring craft cocktails to the forefront -- especially with two different bars and a comfortable lounge area to work with. There is a collection of vintage cocktails, including some on draft, as well as "swizzels" and "fizzes" made with seltzer water. You can even try Abou-Ganim's famous Cable Car -- a rum based drink with ground cinnamon born in San Francisco that can now be found on the retro menu. The Mandarin Oriental is a little more low key than your typical resort on the Strip. It doesn't have any gambling (or its own parking garage for that matter, so be ready to valet) and its lobby is actually on the 23rd floor. That's also where you'll find the Mandarin Bar -- which comes with a cool and stylish view of the Strip through floor-to-ceiling windows that wrap around the east side of the building. 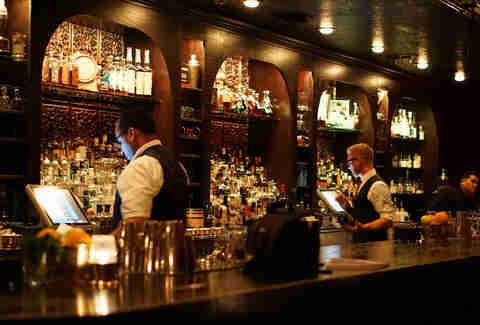 The atmosphere is complimented by a killer lineup of in-house cocktail creations, and a nice cognac list for those looking for an understated experience. Located inside the Downtown Container Park, Oak & Ivy makes the most of a small bar with just a handful of seats. The whiskey selection is strong and makes for some great cocktails, including the Whiskey Smash -- made with water infused with fruit that changes with the season. And while a lot (and we mean a lot) of places have Moscow Mules on the menu, few come close to the ones served up here. 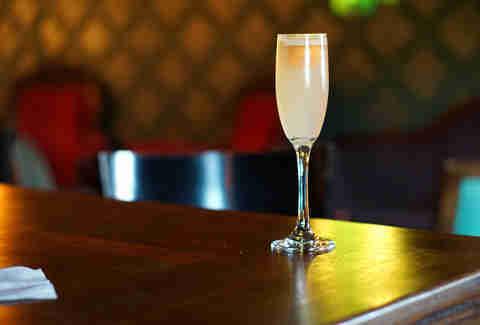 Oak & Ivy offers nine variations, and each one is made with ginger beer that's brewed in house. 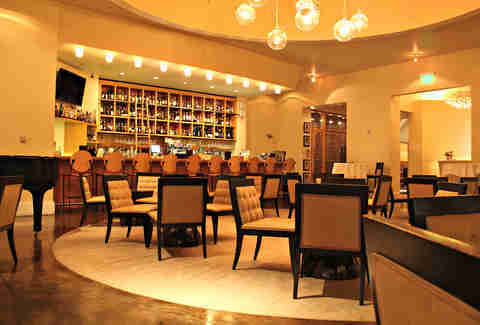 The bar at Sage is modern and stylish, matching the cuisine from Chef Shawn McClain. 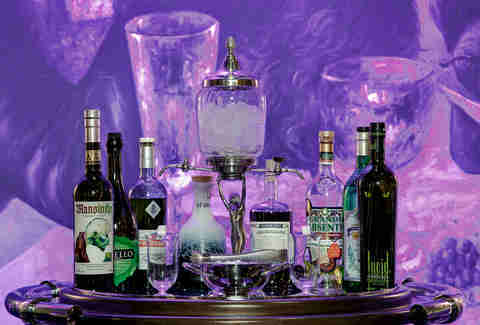 It gets plenty of attention for its absinthe collection and table-side service -- which offers the spirit dripped over a sugar cube, on the rocks with water, or lit with fire and poured over ice. The cocktail program is designed to reflect a sensory-driven experience, with the menu mapped out by sweet, refreshing, bold, and dry categories. Definitely try the Old Fashioned with Eagle Rare 10-Year bourbon and barrel-smoked maple syrup. The Sand Dollar is known for live music with blues greats like B.B King and Muddy Waters making appearances over the years. It also has pool, video poker, and a reputation for friendly staffers. The Sand Dollar originally closed a few years ago, but has since been revitalized with a fresh focus on craft cocktails and some much-needed renovations that bring a modern touch to this longtime local hangout. Opened by two sisters who just wanted a good place to hang out, this social drinking spot has mastered the art of the craft cocktail and developed a killer beer list, with a collection of antique furniture that doesn't quite match, but seems to fit the quirky spirit of the place just fine. 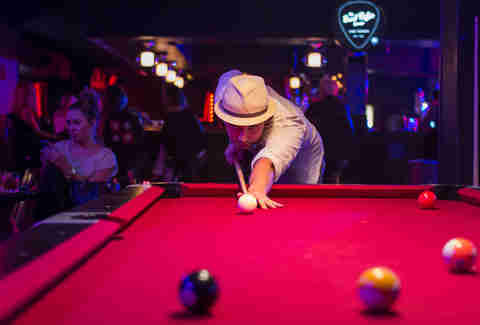 With up-and-coming musicians on the back patio and local artwork hanging from the walls, it's hard to find a bar that is so supportive of the local community -- while making some of the most unique and creative drinks anywhere in Las Vegas. After leaving its original location (which is now PT's Brewing Company) Tenaya Creek moved Downtown to a spot just off the beaten path that doesn't quite feel like Las Vegas. There's no gaming and no chaos. Just plenty of beer -- by bottle, draft, or cans -- and an atmosphere that matches the spirit of a midwest college town pub more than a Sin City party spot. 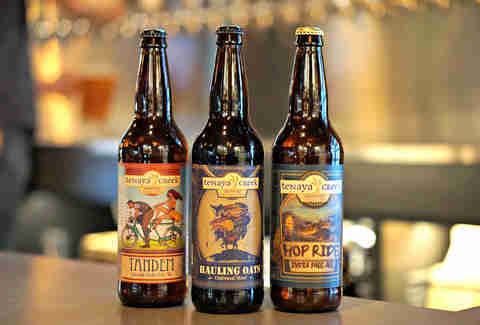 A prime example of the local craft beer explosion, Tenaya Creek has carved out its own identity and loyal fans with beer that's generally well-balanced and not overly hoppy. The most eye-catching bar in Caesars Palace is surrounded by LED video screens that recreate metropolitan skylines from major cities throughout the world -- as well as cocktails with fine ingredients and a sophisticated edge. The $95 punch bowls are good for sharing, especially the piña colada mojito. Rob Kachelriess has been writing about Las Vegas for Thrillist for more than four years. His work has also recently appeared in Travel + Leisure, Vegas Seven, David Magazine, Vegas Magazine, and Luxury Estates International's seasonal publication. He considers himself generally well-balanced and not overly hoppy. Follow him on Twitter @rkachelriess.